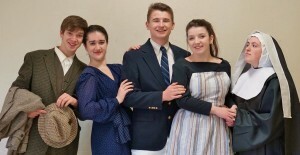 One current and two former Penn Manor students have been honored with awards from the National Youth Arts Association for their roles in Penn Manor High School theater productions. Dani is a senior at Penn Manor High School. Abby and Alyssa both graduated in June 2015. The 2014-2015 award recipients were selected by geographic region from nominations by a panel of more than 25 judges and reviewers who attended shows. More than 400 productions were considered for awards, including shows in 70-plus cities in 13 states. 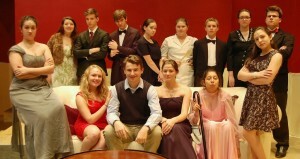 Congratulations to our talented student actors and director Melissa Telesco! 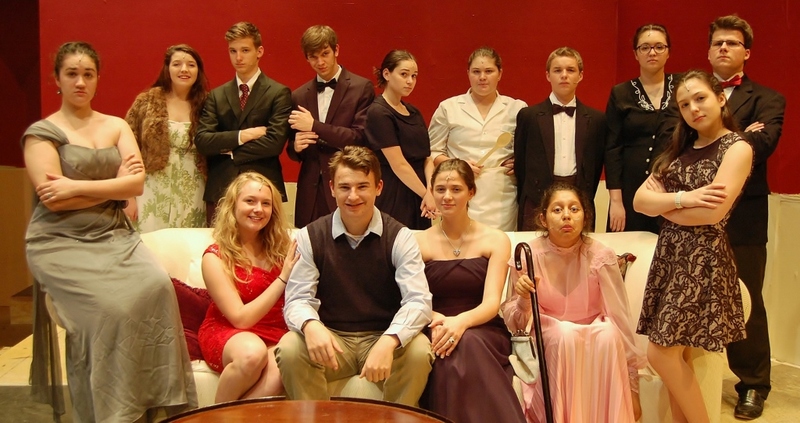 Dani Shaub, front row, third from right, is pictured with the cast of “The Plot, Like Gravy, Thickens.” Dani was named Outstanding Supporting Actress is a Play by the National Youth Arts Association. Alyssa Crook, second from left, and Abby Geiger, second from right, have been honored for their acting in “The Sound of Music.” They are pictured with fellow cast members, from left, Paul Harrold, Alex Davis and Haley Hoffer.